Check out this pic of John Hopkins testing at Cadwell Park last week. 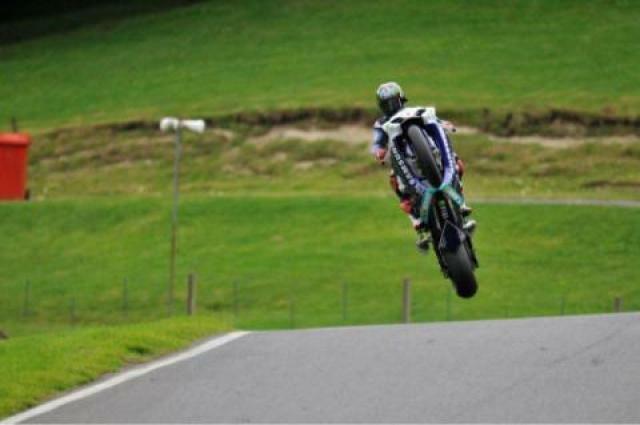 He dented the front wheel on landing ..not surprising really! With this sort of behaviour, he's definitely a candidate for King of the Mountain when the BSB brigade invade Cadwell later next month..
How many bikes does Fabio own?